What options are there for ERP-Scale to contact the activation server? Direct access from the PC (or server) where ERP-Scale is installed. 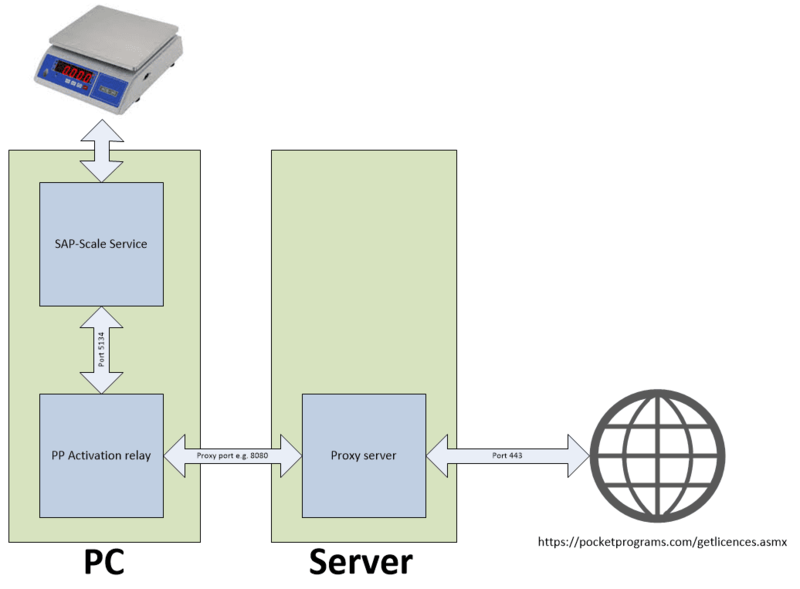 Access via a server within your network using the Pocket Programs activation relay*. 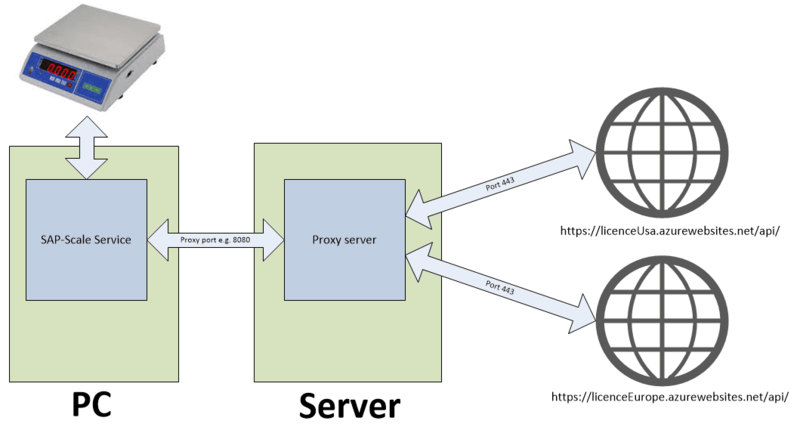 Access via a server within your network using a proxy server. 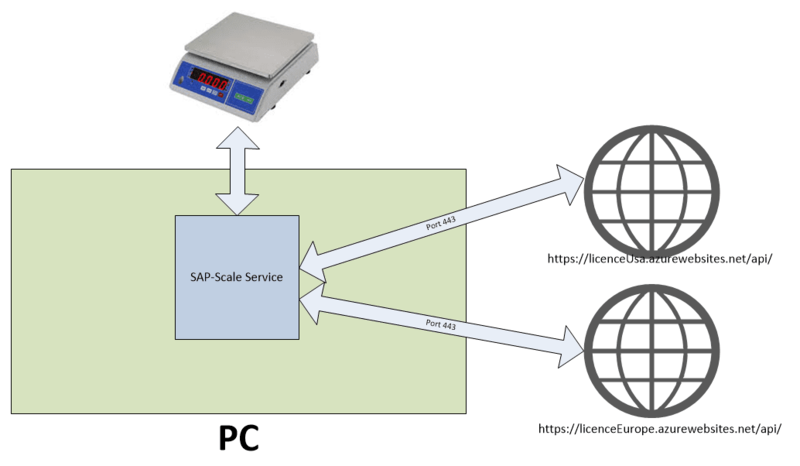 In the following descriptions, PC is used to denote the computer where ERP-Scale is installed (that has the connection to the scale), and server is used to denote a computer within your network which has an internet connection. ERP-Scale has created a very large log file. How do I switch off logging? How do I switch on logging in the activation relay?